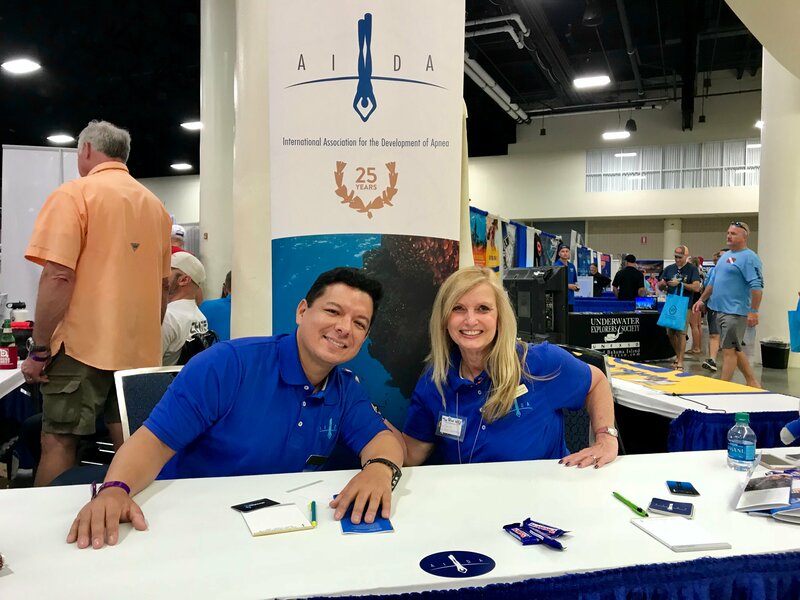 The Blue Wild Ocean Adventure Expo brings divers from all disciplines to sunny South Florida for two days of education, seeing new products and services and catching up with dive buddies from across the globe. DeeperBlue.com was able to talk to Dr. Juan M. Valdivia-Valdivia, the medical and science communications chief for AIDA (the International Association for the Development of Apnea) and learn about a new, five-minute Neuro-Exam for Free(divers) Guide that will be rolled out as a tool for any diver on the AIDA Facebook Page later this month. As most divers know, Cerebral Hypoxia is a medical condition where decreased oxygen to the brain results in certain symptoms. In freediving, this is identified as either a Loss of Motor Control (LMC) or “Samba,” or a Blackout (BO). Juani has named these “Freediving (cerebral) Hypoxia Events,” and they are two of the most common manifestations of Cerebral Hypoxia seen by a diver afflicted by this condition. 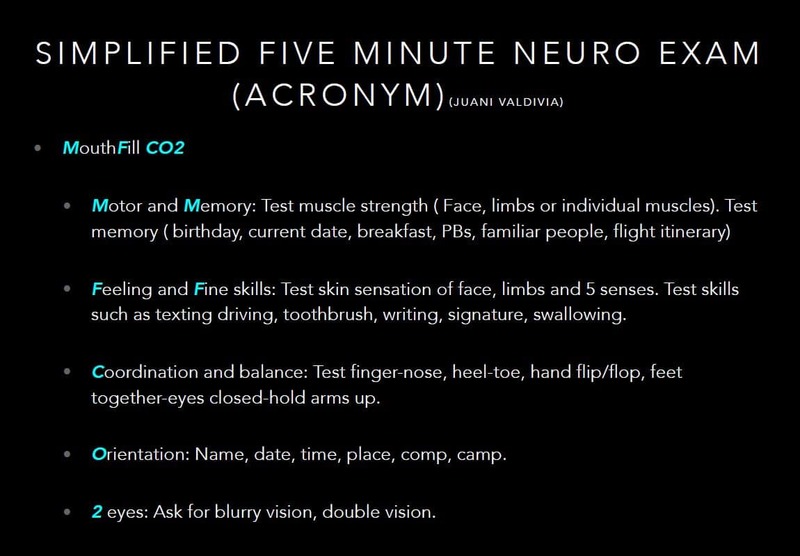 A few recent incidents in both competition and in the freediving community at large has prompted Juani to develop his five-minute Neuro-Exam for Free(divers) so that an on the spot assessment and subsequent reassessments can be accomplished to determine whether a diver should return to the water or receive additional, advanced medical treatment. By assessing the symptoms of the diver in an orderly, repeatable method, changes can be observed and additional conditions can be identified. Administered post-competition dive to a diver who has experienced a BO or LMC, the assessment can help a coach and competition officials determine whether the athlete is safe to return for subsequent dives after a 24-hour period. The “M” stands for Motor and Memory, “F” stands for Feeling and Fine Skills, “C” for Coordination and Balance, “O” for Orientation and “2” for two eyes. There are examples of each neurological assessment test and how to perform them, as well as a grading matrix that totals the score from the assessment and indicates a Dive/No Dive status. Juani hopes that this tool will become widely used and a standard part of every diver’s safety skillset.